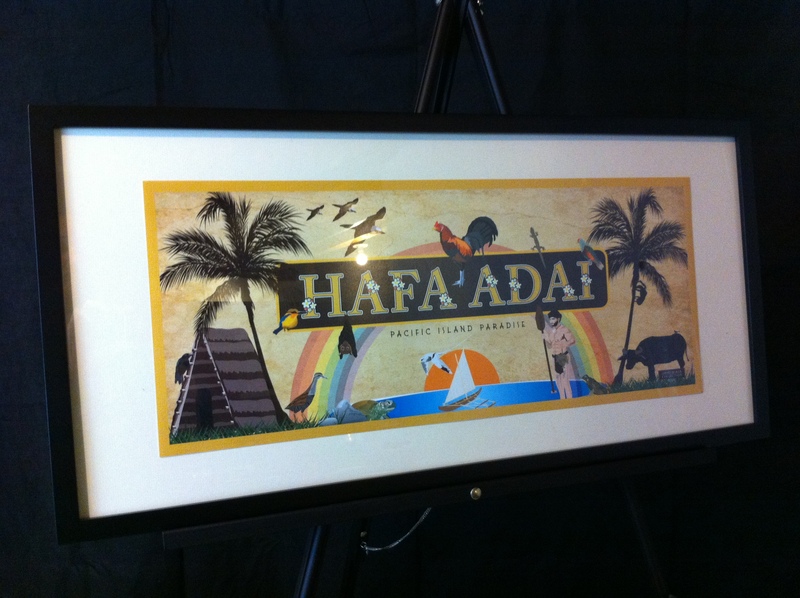 This is our uniquely exclusive Pacific-Island Themed Name-Art Illustration in a Hafa Adai motif. We are currently offering this product as a 9 3/8 x 23 3/4 inch, 10 mil, museum-print French Giclee print. This means that we use a process that ensures a vivid presentation of the image without fading, cracking, or peeling for decades. This print fits a 10x24 inch frame that can be purchased seperately at any Michael's Art Store across the mainland United States. 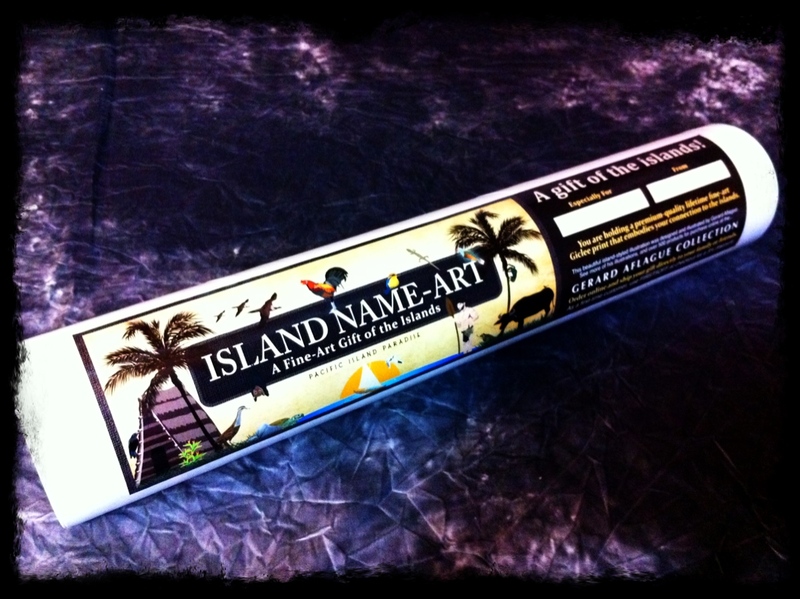 This illustration is rolled and wrapped in a clear protective sleeve and carefully packaged in a 15" mailing tube - with an exterior label appropriate for gift-giving. The label reads "A Gift of the Islands" (see below). This is how the print will look (copyright watermark is not printed on purchased products). This is a sample of how the print looks framed with a border mat. If you plan to order this product as a Christmas gift, we suggest that you place weeks before the holidays, because of production lead times and shipping timelines. Placing orders after this date, will subject your shipment to potential production and USPS backlogs. This product comes standard with no modifications allowed.